It is not uncommon for piano tuners to be blind, but very rare for piano builders to have no sight. John Furniss of Vancouver, Wash., is that rare individual. 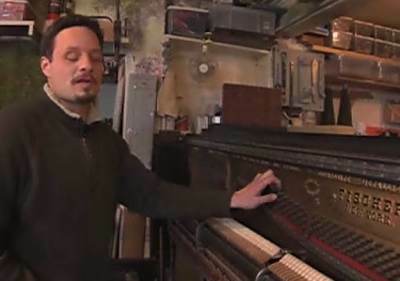 He persevered even after he was told by an institute for the blind that he couldn’t possibly restore pianos. He uses tools unique to his situation that his mentor, Rick Patten, built himself.